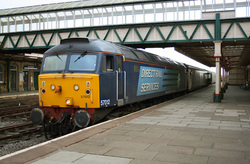 During the Nov 2009 floods in the North West of the country ,Workington was cut off due too a bridge collapse. 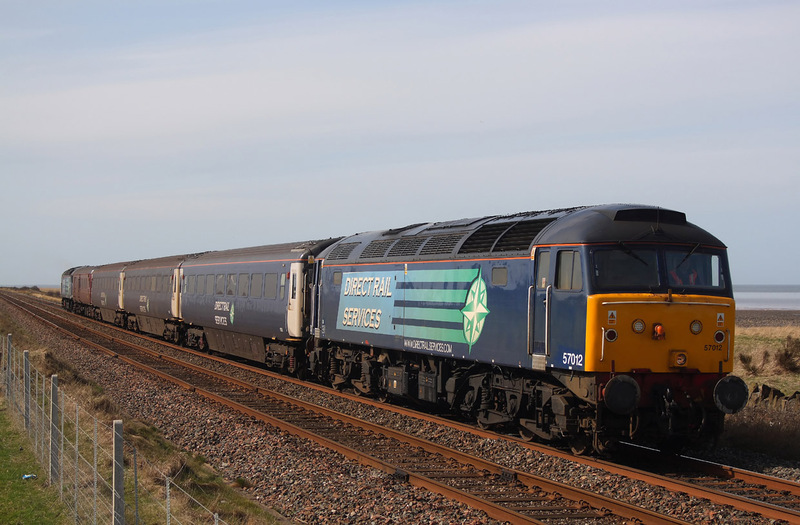 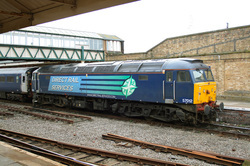 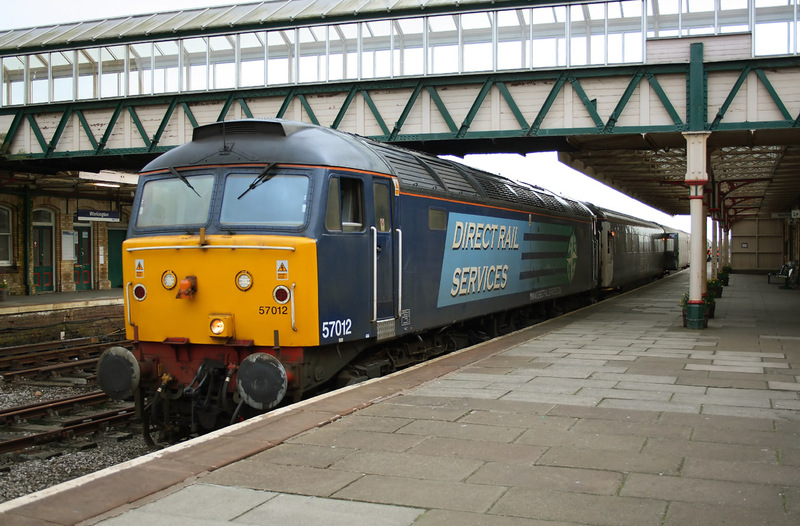 Until a temporary bridge could be put in place a loco hauled shuttle service operated between Workington and Maryport,sponsored by the goverment and provided by DRS. 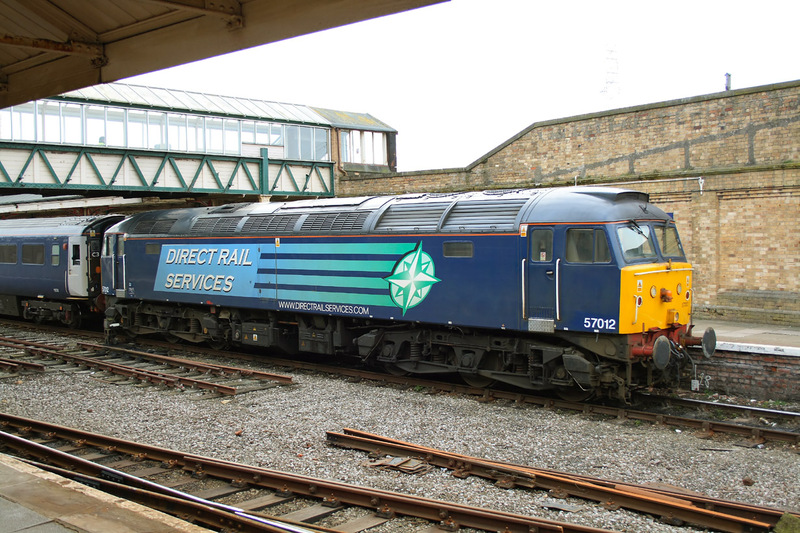 This is a selection of images i took on a visit which involved 57012. Having just departed Workington on 2T38,the 17.55 shuttle to Maryport,57012 passes by at Derwent Jnct. 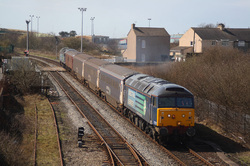 57012 approaches Maryport with 2T28,the 12.20 shuttle from Workington. 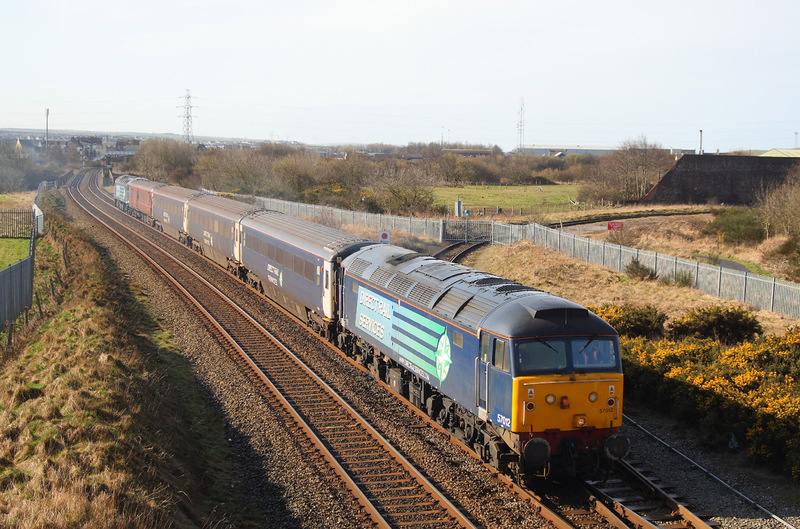 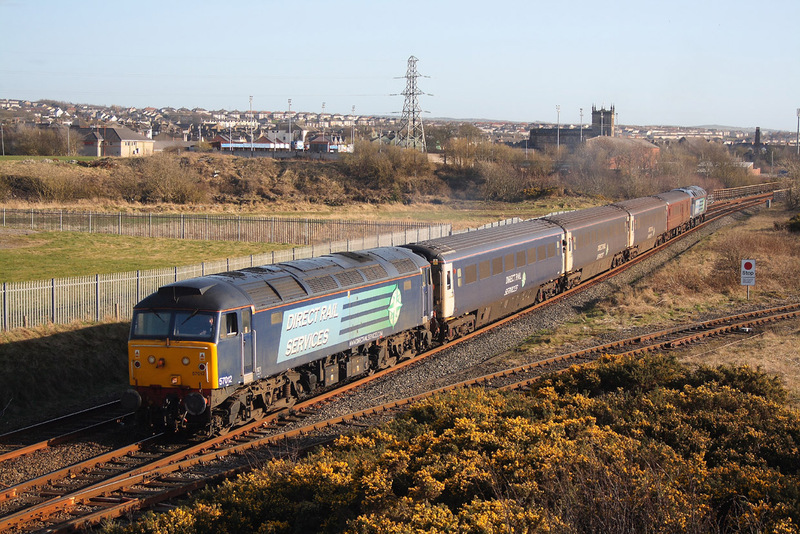 57012 leading on 2T26..11.20 Workington to Maryport shuttle. 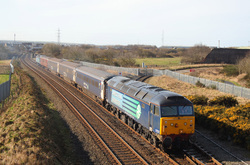 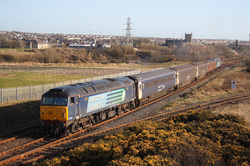 57012 leads on 2T22..09.40 Workington to Maryport shuttle.